*˛°.˛*.˛°˛. *★* ♥ ♥ HAPPY NEW YEAR! T&T would like to wish everyone a safe and happy New Year Celebration this evening. If you plan to attend a New Years Eve party and will be drinking or partaking in other party type festivities, please choose a designated driver, or public transportation or a cab to get home from celebrating tonight. There are several big cases that will start next year (Stephanie Lazarus, Casey Anthony, Dr. Conrad Murray prelim) and we would like you well and healthy to follow them with us. Be safe! A check of the Clerk of Courts shows we have more motions! Here's the list. I'm thinking they will be more than Monday's hearing can handle. I'm hoping the judge takes them up at the next status hearing on January 14 or schedules another interim hearing. I can't wait to read them all! 12/30/2010 Motion In Limine to Prohibit the use, in any Fashion, of Internet Myspace References Attributable to the Defendant as "Diary of Days"
WESH just published the Memorandum of Law for the motion to exclude the video. Apparently, the defense wants the video of Casey's reaction to the discovery of the remains to not be admitted into evidence. This video is currently under seal and has never been made public. We have been able to read the text of a witness to the event, Tammy Uncer, which describes what happened. The article also mentions that another motion has been filed. Defense lawyers also filed paperwork asking that decompositional odor analysis of Anthony's car be excluded from the trial. This is the motion which would call for a Frye Hearing. The defense has long been expected to file this. I'll provide a link when the text of the motions themselves become available. Well, the defense has been busy. 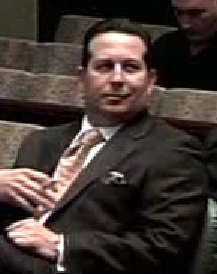 This time, the author of the motion is Jose Baez. I love the title of the latest motion in limine, Motion Of Law to Preclude Phantom Heart Sticker Evidence. Included in the file is the Memorandum of Law. In the motion, Baez points out that since the lab technician never took photographs of the supposed heart-shaped-residue, it should be excluded from the trial. I suppose we will hear this motion on Monday, January 3, 2011 along with those filed last week by Cheney Mason. I have no idea how the Assistant State's Attorneys will argue these motions, but it should be an interesting hearing just to see how it all works out. I'm not even going to guess at which video footage they may be talking about as I'm always wrong! I hope Muzikman will be able to get these motions if they aren't up in the press! The JAC has also been busy. Due to the fact that my holiday vacation was extended due to the blizzard in the northeast, I haven't had the energy to read much of this right now, but the JAC js going after the defense for its expenses. I read a bit and do know that PI Jeremy Lyons has spent a lot of time knocking on doors and getting no answer. He has also opined as to whether or not he thought somebody was home. It's a good read and I plan to read it all when I'm caught up with my sleep. The motions above, as well as the JAC documents below are courtesy of the ever-busy Muzikman. It's hard to believe that NEXT MONDAY at 1:30 PM we will be having another hearing! I've heard rumors that the State's Motion For Sanctions will also be heard. If so, break out the snacks and beverages as it could be a very long hearing! Best wishes from all of us at T&T. Last night, the Orlando Sentinel published an article concerning a motion filed by State's Assistant Attorney Jeff Ashton which was asking for sanctions against the defense. The article included some information from the motion which clearly points out that the State has "had it" with the defense team, notably Jose Baez. We all remember the first feeble attempt at discovery presented to the State. It was a copy-paste of their defense witness list with snide comments. Jose Baez was, at that point, playing the delay game with the State and Ashton was none too happy. At an emergency hearing at 5 PM on December 12, Judge Perry put down a stern list of requirements for the defense to turn over to the prosecution. He followed it up the following day with his Order. 5. A summary of the expert's opinions and the grounds for each opinion. Baez responded on December 15, (one day late for two of the witnesses to be deposed) with this rather mis-named Response To State's Motion For Clarification Of Expert Witnesses and an attachment, a 323 page Exhibit with a curriculum vitae for each expert witness, although I understand a couple of experts are missing. When I read the response, I scratched my head and had to wonder in what way Baez thought he was being open and honest with the State. I won't copy all the statements he made here, just a few choice items. a. Whether the State calls Dr. Hall as an expert witness. c. Whether Dr. Hall can effectively survive cross examination. Apparently, the defense is going to challenge Dr. Hall on whether he qualifies as an expert witness in botany? Is botany an accepted field of scientific study? If he survives cross examination? These are all rather barbed comments about Dr. Hall's credentials! concerning cadaver dog "alerts" as substantive testimony. If Dr. Lee were called to testify, the substance of the facts that he would be expected to testify would be to rebut any false claims raised by CSI investigators in this case. Until that occurs it is difficult to give a complete summary of his opinions and the grounds for those opinions. It's no wonder Jeff Ashton decided to go after Baez. There is no substantive information in these documents for him to have the vaguest clue as to the nature of the testimony of these "expert" witnesses. It's unbelievable to think these highly educated people have no ideas and opinions of their own in the case. the state would contend that the defendant is in deliberate non-compliance with the court's order as to certain of their listed experts and that sanctions to address the non-compliance are necessary." Ashton notes that the defense has said expert Dr. Henry Lee "will render opinions on…crime scene analysis, collection and preservation as well as recovery." But he says the defense team's inability to summarize so-called "false claims" by crime scene investigators that Lee will rebut "is disingenuous and just plain laughable." "If Dr. Lee has no opinions that would impeach the testimony of any witness, then compliance with this court's order would require a statement to that effect," Ashton argued. "If he has relevant opinions, the court's order requires that they be listed and the facts supporting them be clearly stated." The intent of the defense to defy the authority of this court to issue orders of discovery is crystal clear", Ashton wrote. Quite frankly, Baez' response sounds like one, big smirk. One has to wonder what expression Judge Perry will have on his face when he addresses this motion in court. reports, as to their testimony and opinions or have their testimony and opinions referenced in the reports of others. Ashton then followed up with a complete list of his experts and the reports filed. As is typical for Mr. Ashton, he shows Mr. Baez how a real lawyer operates. Thank you Muzikman, YOU ROCK and your hard work is appreciated. 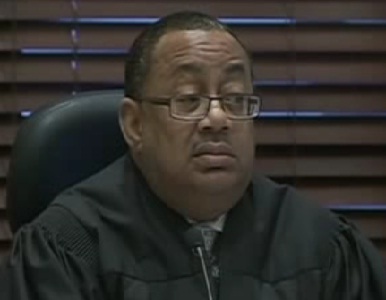 WESH has announced thatJudge Belvin Perry has slated a hearing for Jan. 3 on all six motions. " Muzikman has made my day yet again! This afternoon, the defense filed a slew of Motions in Limine to exclude certain evidence and types of testimony of the trial. I am literally writing this as he is posting them to DocStock! The first motion is entitled Motion In Limine To Prohibit The Introduction Of a Table Knife And Any Testimony Related Thereto As Allegedly Found In The Defendant's Automobile. This motion refers to the knife Cindy Anthony found in the car. She took it into the house, washed it, and put it away. The knife was tested and nothing of evidentiary was found. The motion itself is less than one page long. There is, however a Memorandum of Law that goes on for the remainder of seven pages of the document. I don't think there will be a big issue about this one. The next is a Motion In Limine To Preclude Testimony Or Alleged Statements Of Witness Anthony Lazaro (sic) Connected To Inquiries, Conversations, Or Interrogations By Corporal William Edwards Related To Sexual Relations With The Defendant. Yes, you read that one correctly! The witness Anthony Lazaro (sic) was "interviewed" by Corporal William Edwards in this cause. During the questioning, said Corporal improperly inquired of the witness pivate and personal matters regarding his alleged sexual relationsip with the Defendant. The subject matter and the questions and responses given in said interview are not relevant or material to any issue in this case and, further, are scandalous and incompetent and should not be allowed in any aspects of this case. Again, the motion was a mere page long followed by a detailed Memorandum which pointed out that the prejudicial nature of the testimony would outweigh the probative value. That could possibly be true. However, when Anthony Lazzaro takes the stand, there is no reason he cannot tell the court how many nights Casey stayed overnight without Caylee. I think the jury could figure it out all by themselves. Next up is a remarkably similarly named Motion In Limine To Preclude Testimony Connected To Questions And Responses Of Witness Anthony Rosciano (sic) In The Interview By Corporal Yuri Melich And Sergeant John Allen Related To Sexual Relations With The Defendant. Similarly, the witness's name is misspelled! It Anthony Rusciano! The wording here was identical to the Anthony Lazzaro motion, just change the names of the interviewers. Again, there is a longer Memorandum to explain it all out in detail. In this one, however, there was mention made that Melich asked this Anthony if he knew any of his other classmates who "hooked up" with Casey. Oh my. Again, the prejudicial vs. probative comes into play. 1. Texax Equusearch President, Mr. Tim Miller, has purportedly stated his "opinion" to investigative Detective Allen, and/or others, that he thought that the Defendant was on particular ocasions,...about to mark on a map where the body was". 2. Such speculation is totally unfounded, irrelevant, and immaterial, and should in no way be admirtted or testified to by any witness. Again, it's a one page motion followed by a more detailed explanation of the motion. Moving on, the next motion in limine is the Motion In Limine Regarding Testimony Of Neighbor Brian Burner In Reference To Shovel. You can literally change the word "knife" to "shovel" to read this one. The shovel has not been linked by witness or any forensic evidence whatsoever to any aspect of this case and, accordingly, is irrelevant and immaterial. The memorandum of law goes on for nearly eight pages explaining why the shovel isn't material to the case. 1. Various investigative reports in this case have attributed to the Defendant's father, George Anthony, and to other expended family members assertions that the Defendant has a history of lying and/or a has a history of stealing. Considering the many lies she told to the investigators, considering how elaborate they were, and considering she is facing charges of lying to LE at this very trial makes me wonder why a history of lying would not be germain to the case. 2. In addition to the following Memorandum in support of this Motion, Defendant shows that any such allegations would not be relevant or material to any issue in dispute in this case, and that any potentially probative value, under Section 90.401(I), would be outweighed by the prejudicial impact of such improper character evidence, in violation of 90.403. My goodness! How could any of Casey's friends even take the stand without indicating Casey lied to them? The lies are so intrinsically entwined in the many stories she told to different people. Casey's intricate web of lies is the foundation of her life both before and after Caylee went "missing"
Friends, I'd love to hear what you have to say about these motions! Also, consider this: how many more motions in limine does the defense have up their sleeves? Just remember every piece of evidence collected in this case. The state attorney’s office will not comment on pending motions, but if ordered, they will have to reveal to Judge Perry whether they think any of the testimony should be allowed into evidence and, if so, why. There are going to be some VERY interesting hearings as the Court goes through these motions! Again, many thanks to Muzikman for getting down to the courthouse and posting these motions at Websleuths. Also my thanks to FRG for the heads up! The Florida Sunshine laws gives court right to seal documents when there is a compelling need to do so. These witnesses are for the penalty phase only. There are unique issues which are not relevant to guilt / not guilty part of trial. Releasing the list would cause undue pre-penalty phase publicity which could in turn taint the jury pool during the innocence/guilt phase. Any potential penalty phase witnesses who know their names will be publicized may refuse to participate in the penalty phase should the need arise. They would be fearful for themselves and their families. A prejudice has to be shown. It is the defense's burden to prove. Pre-trial publicity isn't enough. Others have been denied. 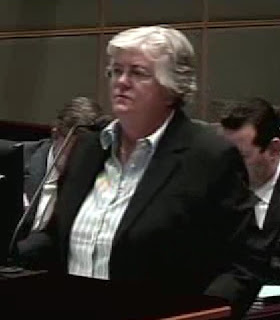 Orlando Sentinel attorney Rachel Fugate then spoke to her motion. She indicated that a prejudice has to be shown and that it is the defense's burden to prove. Pre-trial publicity isn't enough to seal the list. She also pointed out that other such motions in this case have been denied. At this point, Jose Baez made his move. He stood up and objected that the cameras should not photograph Casey passing notes to him! Judge Perry slammed him down by pointing out he did not have the floor! Ann Finnell quickly objected and the judge overruled the objection. Back to business! Back to Ms. Fugate who rapidly composed herself and continued her argument to the Court. She argued to the judge that the release of the witness list is of such a nature that it will jeopardize fair trial rights. In addition, it wouldn't taint jury from another county. She also objected to the "blanket" request. Many of the people on the list have already been publicly identified with the case. The release of their names wouldn't hinder them from coming forward. Ms. Fugate also stated that if there were individual witnesses who had specific problems being publicly named, the judge could review the issue in camera. Ms. Finnell then made a few comments. She indicated that some of the witnesses have said they don't want to come forward because they are fearful for themselves and their family. She also said that Ms. Fugate hasn't made a good legal case. As Ann Finnell was making her last statements, Casey stared steadily at her as she kept saying such phrases as "death penalty" and "penalty phase". Judge Perry stated he was going to reserve his ruling. Let's hope we get an order sometime later in the week. With the motion heard, Judge Perry announced that the January 10 hearing will have to be changed to January 14 as he will be out of town. With the usual, "anything else? ", Baez mentioned something about a sidebar ruling that was sealed and the three attorneys present (Ashton, Baez, Finnell) went to the bench for a brief conference. Judge Perry then brought up the Roy Kronk motion again. Baez indicated that he had up until December 31st to decide. The judge gave him a look and pointed out in very vivid language that hadn't planned to be in court this week and he WOULD NOT be in court next week at all! The end result is that if Baez wants this motion heard, it would seem to be December 23, probably at 5 PM. That was Baez' second "reality check" of the day. Jeff Ashton had a few issues, but indicated he'd be more than willing to meet at 5 PM to take care of them. He did mention that Dr. Henry Lee, the defense trace evidence expert refuses to be deposed by the State until he gets his money from the JAC. Judge Perry mentioned that he thought Lee might not testify at the trial. All Baez could say was that he would take care of it! (Like he takes care of everything else?) It would seem that Dr. Lee, who, according to a statement way back when said he was working pro-bono, is holding his participation in the case hostage for his money, not a crate of oranges as mentioned at the original JAC hearing by Cheney Mason. With that, the hearing was over and the courtroom quickly cleared. If, indeed, this is the last hearing of the year, let's hope 2011 moves along smoothly with "Perry's Rules" going into full play. Ann Finnell will be arguing her motion to seal the mitigation witness list. Rachel Fugate, representing the Orlando Sentinel has written her response to the motion. It is an awesome read and one of the most detailed Fugate has written. It will be interesting to see these two attorneys face off before Judge Perry. Yet another thanks to Muzikman! In the meantime, I've been reading the defense's mistitled Response To State's Motion For Clarification Of Expert Witnesses and the attached Exhibits. Most informative is the "report" aka "affidavit" filed by the defense expert, Jane Bock (pp. 5 and 6). As for the material in the response itself, it's quite sparse on specific information. If Judge Perry considers that what Baez has written is the sum and substance of their testimony, it will be interesting to watch them in action in the trial! See you at the hearing Monday! I was able to obtain a copy of Phil Spector's "Appellant Reply" brief and have uploaded it to the net. You can read the 90 pages HERE. Enjoy! The defense filed two responses to the motion to compel evidence today. Here is one just released by the media. It contains the information asked for by Judge Perry. Note that it is signed the 14th but not submitted until the 15th. This is a "sneak peak" copy. I wasn't around for the hearing, and it didn't seem to matter. The only coverage came from WESH tweets. However, they did just post an article. From what I read, the defense has received more investigative hours to check out the 110 witnesses that Jose Baez doesn't feel need to be investigated. The exact amount of hours is up for grabs at this point as the JAC is still trying to figure out how many hours haven't been paid. It sounds like a paper work nightmare to me at this point. I'm hearing 110 hours so far. As for the travel expenses, Baez claimed that he applied for reimbursement from the JAC and the JAC wanted a court order. Judge Perry wants to see the paperwork before he writes that order. Confused? LOL! So am I.
I also wonder if Baez has complied with the judge's order to supply discovery for Dr. Brock and Dr. Fairgrieve. The deadline was today. Meanwhile, we have another hearing on Monday, December 20, at 1:30 PM. We are supposed to hear the Finnell motion to seal the names of mitigation witnesses. I have to wonder if any other standing motions will be heard while they are all together in the courtroom. Come on back and visit later as I learn more about the hearing and what has happened! Consider this a "running blog"! I just got the notice in my E-mail from the California Court of Appeals that in case B216426 2nd District, Division 3, the "Appellant's reply" brief has been filed. 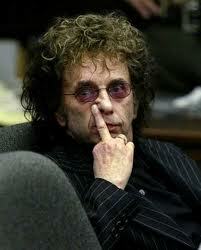 What this means is, Phil Spector's attorneys have filed their response to the CA Attorney General's brief. (The defendant filed his initial appeal; the AG filed their response and then the defendant gets to file a response to that.) When I come across a copy on the net, I will link to it. Since all the briefs are now in with the 2nd Court of Appeals, a date will be set to hear oral arguments. This will take place at the Ronald Reagan State Office Building. After that the court will have 90 days to issue a decision. My friends in the mainstream media tell me this court is notoriously conservative, so it will be interesting to see if they rule in Spector's favor or not. Tomorrow, down at the Stanley Mosk Courthouse, in Judge Malcolm Mackey's courtroom (Department 55, 5th Floor, Room #515), Robert Shapiro will be presenting a motion to have Spector's civil suit against him dismissed. Years ago, Phil Spector filed against Shapiro to get his $1 million retainer returned. I do not know who Spector's attorney is in this case. If Judge Mackey rules against Shapiro, the case will go to trial in March of next year. I plan on attending this hearing if I can get a seat. I saw the courtroom today and it's quite tiny. 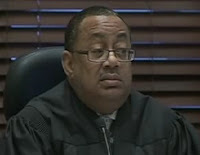 Casey Anthony's Last Minute Hearing: Judge Belvin Perry, Jr. Rules! Judge Perry's Order granting the State's motion for Clarification is now available. It's a good read. Also, the Clerk of the Court has listed a telephonic hearing for tomorrow, December 14 at 4 PM. Since it is a telephonic conference, I going out on a limb and guess it could be with the JAC concerning Baez' request for more investigative funds and an expert in tapophony. I won't be around at that time tomorrow, but I will report on it if there is a video posted later as with the last telephonic hearing. Just recently, WESH has put up an article with some of the details. Judge Belvin Perry, Jr. was none to happy with the defense yesterday when presiding at the 5 PM hearing concerning reciprocal discovery by the defense. In the picture to the left, he has just glanced at the Baez e-mails and heard from the "for all intents and purposes" lead attorney that yes, indeed, his response to the Court's order the court's order had been the series of e-mails. ...Defendant shall also provide to the State a list of the Defendant's experts and shall include the subject matter as to what the experts will testify to and the area of expertise for each expert. Jose Baez took this to mean that he could fire off an "amended" e-mail of the witness list to Jeff Ashton containing sophomoric comments such as, "YOU SHOULD KNOW THIS ALREADY". On December 1, Jeff Ashton fired back a Motion For Clarification/To Compel Compliance With Order For Additional Discovery. He thoughtfully included the e-mails between himself and Baez (unfortunately redacted). Since the prosecution needs to do the depositions of the expert witnesses by the end of January, time is very much of the essence, hence the Friday, 5 PM hearing. Once the hearing had been called to order, the judge called upon Jeff Ashton to argue his motion. Ashton responded by reading the judge's ruling (first oral, then written) concerning the information the State was to receive from the defense. He then stated he had received the initial partial compliance on Wed. Dec. 1, in the form of an e-mai l.
Judge Perry interrupted briefly to ask if the reply was in the form of a pleading or an e-mail Ashton replied that it was in the form of an e-mail. He said that the e-mails contained general area of expertise for some and some more vague. When he asked the defense was going to comply with the order, he received a reply which indicated that Baez wasn't about to comply with any meaningful information. He stressed that he had about seven weeks to complete the depositions and one was already scheduled for next week. This first deposition is set for the forensic anthropologist Dr. Scott Fairgrieve next week. Mr. Baez has listed him as possibly testifying about canines if there is a hearing. (Talk about vague!) Ashton also pointed out that he had done what research he could and had found Dr. Fairgrieve did not seem to have a background in "canines". To further complicate issue, Ashton pointed out that the deadline for filing motions on scientific issues requiring testimony was November 30 and no motions had been filed yet, making the prosecution doubly prejudiced. Ashton mention a Dr. Freeman, a forensic epidemiologist and there are no such issues involved in the case. Furthermore, Freeman wants to charge $575 an hour for his deposition! Ashton stated that he didn't want to pay this person $575 an hour to fish around to find out if he had anything to offer. In Baez' last e-mail, he admitted to giving the State only what they already knew. Ashton closed out his argument by asking the Court that, if Baez hadn't complied fully with the ruling, to clarify what the defense must turn over. He had thought the judge meant a "brief summary" of the testimony. However, he is willing to abide by Judge Perry's decision. Baez then opened his arguments by stating that he doesn't know why they are here! Ashton already knows what they will testify to and all he needed to do was call if he needed more information. Baez even admitted that, when Ashton wasn't satisfied with the information he'd been given, he "filled in some more of the blanks"! (Gee, I didn't know that "Discovery" was a fill -in-the-blank game.) He also said he gave more information about what they MAY testify to! instead he filed a motion. According to Baez, this hearing is "taking up their time" hearing this motion and they are not "here to hide anything". Baez also said that the court had "thrown them a bone" by even requiring the defense to tell them the subject matter the expert witnesses were going to testify to. Baez summarized that this was a "huge waste of time" and could have been resolved with a "simple" phone call from Mr. Ashton. Short of a "script", Baez would be glad to TELL Mr. Ashton what he needs to know. In frustration, Baez slapped the e-mail motion down, calling it "nonsense". Some unfortunate choice of verbiage by Mr. Baez here. He's starting to sound like his client! Perry: How many experts does the State of Florida list, Mr. Baez? Perry: How many reports have been turned over to you? Baez: Approximately 12, there are some who have not written reports. About half. Perry: How many experts have you listed"
Perry: And how many reports did your experts author? Baez: None. One has recently submitted an affidavit which I will be attaching to a motion. The judge then asked Mr. Ashton if he agreed with what Baez had said. Ashton disagreed He said that any expert who will render an opinion on the basis of analysis has written a report. He also said that some people listed as "experts" were not involved in analyzing the evidence and would therefore not write a report. The judge then did a question-answer sequence with the State and the defense. Perry: Oh what date was the defendant indicted for murder in the 1st degree, Mr. Ashton? Judge: And Mr. Baez, on what date did you file your motion for discovery? Judge Perry indicated that discovery has been going on from 2008 through 2009 and now 2010. The deadline for the majority are due by December 23, by 3 PM. For the two depositions to be taken next week (Fairgrieve, Bock), next Tuesday by noon. It is to be filed by a pleading in court. The judge asked if there was anything else. It was at this point that Jeff Ashton added the name of Dr. Bock, the botanist to the deposition schedule for next week. For once, Baez had nothing more to say. Judge Perry then told everyone that his ruling would be available in half an hour. Jeff Ashton said he'd be happy to receive it by e-mail. A number of articles in the MSM have written article about how the judge laid down the law to both sides. That's what he always does. However, let's remember that the prosecution has already supplied reports, curriculum vitae, etc. to the defense following Linda Kenney-Baden's motions over a year ago. I know they did because I scrolled through pages and pages of discovery and read some of the reports myself. The prosecution may have a few odds and ends to clear up, but their work has already been done. As for the defense team, I'm not sure what is going to happen. Sometimes, I wonder if their experts haven't written reports because they haven't found any information to counter the prosecutions' experts. I also wonder if the experts on the defense list who weren't approved by the judge and funded by the JAC are working pro bono. The good news is, the defense has been given the chance to comply. I can't imagine what Judge Perry will do if they continue to invent new games to play. One thing is for sure; he defense team would have had to give out a lot less information had they complied in the first place. Let this be ONE lesson Jose Baez and Cheney Mason have learned. So far, there are two links to the hearing this afternoon at 5. WFTV: there will be a place to click when the hearing goes live. If you learn of any other links, please leave a message. This announcement is fresh from WESH. There will be a hearing tomorrow at 5:00 PM to hear Jeff Ashton's motion concerning discovery about the expert witnesses, (you remember, the one with the e-mails attached). If you haven't read it yet, read it from beginning to end. Jose Baez responded with a Notice of In Camera Inspection which insisted ALL the experts ' notes are work product. It should be quite a hearing, indeed. Let's just hope our favorite stations broadcast it for our viewing pleasure! Special thanks to FRG for the heads up. WESH has just published an article which discusses two documents. JAC RESPONSE to request for more PI hours. The gist of the response is that, while they take no position on whether or not they should be granted, they indicate that the hours must be "reasonable and necessary". The article also included a link to the DNA Testing Stipulations. Muzikman has just provided us with the defense Motion asking for a taphonomy expert. Again, Baez takes a few cheap shots at Jeff Ashton. Let's see, who has more credibility? In addition, Muzikman has supplied us with a copy of the Notice of In Camera Inspection which claims that the experts notes are all work product. No surprise here! It’s the busy season of the year. Thanksgiving has passed and it’s been time to get Christmas gifts ready to be mailed far and wide. In between, I’ve been checking out the motions in the case and printing them out for such emergencies when I want to use them and my cable is down. Today is the day! Here’s a recap of what’s gone on lately and on the defense’s part, it’s mostly about the money! Sometime in late November, Jose Baez again filed a motion for an expert in taphonomy to add to his expert witness list. This request had been denied previously without prejudice by Judge Perry. States' Assistant Attorney Jeff Ashton filed his Motion To Compel Additional Discovery. While not granted the first four parts, Judge Perry did order the defense to turn over notes taken by the experts which were not work product as well as photographs and video of the inspection. He also told the defense to tell the prosecution by Friday, December 3, the areas of expertise of the witnesses and information about what they would be testifying about. Jose Baez files a Motion For Additional Hours Of Investigation. As the reason he needs the hours, he states that, “the defense is respectfully requesting additional hours for investigative servies rendered in-state in order to continue investigating the evidence alleged in the State’s Discovery, which continues to be on-going.” My question is, having spent the additional 60 hours given him on October 29th, has he shown the judge how those hours were used? I noticed that he didn’t ask for a specific amount of time either, seemingly throwing himself on the court’s mercy. On the same day, he filed a Motion To Approve Prior Travel Of Out Of State Experts. This hearkens back to the examination of evidence by the defense experts. In order to get these expenses paid, Baez needs a court order. Right on time, the defense filed it’s list of expert witnesses. The list included Dr. Henry Lee, Dr. Werner Spitz, Dr. Kathy Reichs, Dr. Jane H Bock, Dr. Tim Huntington, Dr. Scott Fairgrieve, Dr. Kenneth Furton, Dr. Barry Logan, Dr. John Leeson, Dr. William Rodriguez, Richard Eikelenboom, Michael O’Kelly, and Dr. Michael Freeman. The JAC takes no position on whether Defendant is entitled to the requested expert services, however, the defense must show a particularized need for this experts. JAC notes that the defense already has a panoply of experts, among them a preeminent forensic anthropologist and a showing must be made that these defense experts are unable to testify in this matter. Ann Finnell noticed the media in her Amended Notice of Hearing. Now, her motion to seal the names of mitigation witnesses can be heard on December 20, at 1:30 PM. This same day, the defense filed yet another money motion. Remember, at the November 29th hearing, Cheney Mason explained that they had thought that the transcription service for the Tennessee depositions would charge JAC rates. Seems he was wrong. In his Defendant’s Motion To Authorize And Compel Preparation Of Transcripts, he asks the judge to authorize an expenditure of $860.70. As to his reasons for being granted the difference, Mason points out that the transcripts are crucial for the Frye hearings and said transcriptions will only be available two weeks after full payment. He also whined that while the prosecutors and their scientific adviser traveled to Knoxville on the State, he and Jose Baez had to pay for their own expenses. He also includes a long affidavit by his secretary as to her dealings with the transcription firm. Quite frankly, I agree with Judge Perry on this issue. When planning a major expense at the JAC budgetary limits, GET IT IN WRITING. An unofficial "okey-dokey" won’t stand up in a court of law. Needless to say, I agree with Muzikman, who provided most of these documents, this is a “must read”. Ashton also included a series of e-mails between him and Baez. Ashton did redact some of the text as non-relevant (It must be pretty good!). The best Baez can tell Ashton is to give him a call if he has a question. It seems that Baez wants absolutely NOTHING in writing. This motion is another MUST READ! 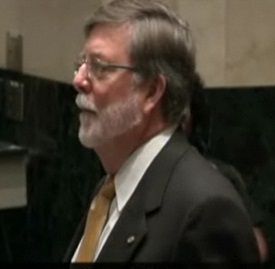 Judge Perry published his Order based on decisions he made at the November 29th hearing. As far as the filings in the case go, the defense is clearly about the money. I ardently hope that Judge Perry doesn't give the defense a penny extra for those transcriptions. It’s about time Baez got hit in the pocketbook for not following the rules. He’s the only one of the lawyers who made a dime on the case anyway. In terms of the reciprocal discovery, I trust John Ashton will be able to get the answers he needs from the defense and the experts. Baez is going to make it as difficult as possible to keep his "defense" a secret. However, there is no way Judge Perry will allow a trial by ambush. Any guesses as to what will happen next? Everyone probably knows by now that I am and will continue to be a big fan of DDA Alan Jackson. I've known for some time that Jackson wanted to throw his hat in the ring for LA Co. District Attorney but was sworn to secrecy. Now that the announcement is out publicly in the LA Weekly I'm happy to report the news. Alan Jackson's Campaign on Facebook. Now we know the reason Judge Belvin Perry moved the hearing up to 1:00. He is hearing another case and the jury was to return to court at 1:45. For this, we thank you, judge, it made both parties to get to the point and get the job done. 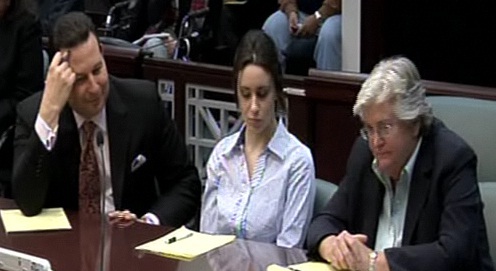 Casey entered the courtroom sporting an orange blouse and shackles. Many people have noted that orange isn't the best color at this time as it is reminiscent of jail garb! I hope Casey liked it, as it had no ruffles, just some rusching on the sleeves. The hearing opened with Judge Perry addressing Jeff Ashton's Motion To Compel Discovery. Mr. Ashton simply went through the items he wanted from the defense. He indicated that the prosecution had given the defense over 10,000 pages of expert evidence and the defense had given them none. (Remember Linda Kenney-Baden's 91 page motion.) Thanks to Nums34 we have the link for the gargantuan motion. He pointed out that he had done a great deal of work to supply the defense with the discoverable information that they had asked for. We have proof of that by scanning through the discovery to see e-mails and other documents provided to the defense. Ashton pointed stated that if they are listed as witnesses, he wanted their reports, as well as fees, expenses, travel. He stated that all this information, "is grist for cross examination". (includes prior to indigency). He also indicated that some of the notes between the experts and the defense could contain work product, however, he left it open that the court could examine them to determine what could be considered work product. Ashton explained that these notes would help the prosecution to determine what type of testimony a witness might give. He gave the example of Dr. Scott Fairgrieve, a forensic anthropologist from Canada. The prosecution had been assuming he would testify to information about the remains. As it turns out, Fairgrieve will testify about cadaver dog scent issues! (This leads me to wonder if Judge Perry would certify him as an expert in THAT field.) Without this pertinent knowledge, the prosecution would be ill-prepared to depose these witnesses. These communications would act in place of reports, if none exist. Ashton also asked for all the expenses incurred by these witnesses, including transportation, lodging, and entertainment (perhaps meaning meals?) as these are usually part of the discovery. He indicated that all of these sorts of information had been provided to the defense a long time ago. Jose Baez then rose to speak to Mr. Ashton's motion. Beginning with "a page from Mr. Ashton's book", stated that concerning this sort of discovery, "There is nowhere in the rules that outline the types of discovery" Baez also said that he doesn't want to pull agreements or give him an accounting. He said that Ashton could ask the experts directly himself in his depositions. Baez also claimed that none of that had been given to the defense by the State. On the contrary, in over 116 depositions, Mr. Ashton objected to giving them any communications. Now, after the defense has done their depositions with experts he's filed a "mirror" motion asking for the same information. Baez then says that if communications between witnesses and the defense are to be released, then in his "mirror motion", he would have to go back and re-interview these witnesses. Hello! Baez is mixing his oranges and apples here. He's talking about civilian witnesses, when the topic is expert witnesses. Baez & Co. has tons of information from the State expert witnesses, including reports! Judge Perry then asked Mr. Baez to back through his arguments, one by one. He told Baez he had already addressed #1 (contracts and agreements). Baez also addressed #2 (communications). Now, he wanted Baez comments on #3 (bills and payments submitted), #4 (travel, expenses), #5 (notes taken by or for experts), and #6 (photographs and video). Baez began with #4, saying that at a time when there is so much work to be done, it would be burdensome for them to pull all these records. (Heck, my husband uses Quicken and can pull that sort of stuff up in two minutes! I suppose that digging all the receipts out of cardboard boxes laying in dark corners could set a member of Baez & Co. back days!) Baez pointed out that the prosecution could simply ask the experts for this information during the depositions. 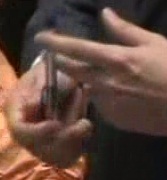 Baez had no problem turning over the photographs as they were clearly discoverable. He was also willing to turn over any notes taken during examination that don't involve work product. Judge Perry then backtracked to the fact that none of the defense experts were going to be turning over any reports. He asked if the State's experts had turned over reports and Baez responded that many of them had. All the judge had to say about that was "OK". Judge Perry asked Ashton for a justification under rule 3.220 concerning what he had asked for. Ashton gave his justifications and the judge pointed out that much of what he was asking for in the first 4 items could be learned through deposition and subpoena duces tecum. He also pointed out that the rules of discovery were never meant to shortcut an attorney's responsibility to do his own investigation. (He usually tells Baez this.) Ashton agreed, but pointed out that many of the experts are out of state, making it a cumbersome procedure. In addition, one witness is in Canada, a whole different country. He again pointed out that the State had provided much discovery which saved the defense from slogging through all those procedures. What struck me the most as Ashton was arguing his points was that the defense had two years to jump through the hoops of the subpoena duces tecum, and they did take their time. The State is running into the same issues, but just under six months till trial and with deadlines for depositions. As with the Laura Buchanan document, the State had to stop the deposition, get the document and then reschedule. At this point, I doubt there is enough time. Essentially, the defense had "all the time in the world" and the State is battling short-term deadlines (4 weeks) with a burdensome task. It's not fair, but it's the law. Ashton did go on and point out the inequity of the situation and made my favorite comment of the day: "I can't imagine it's all that difficult for Mr. Baez to go to his trust account records and determine how much money was paid to a particular expert, or how much money was paid for that person's travel." Baez got in his last licks on this by stating that, while they did receive a great deal, the State had given them misinformation that they had to go directly to the FBI for materials they wanted. He also brought up the issues they had with the Oak Ridge Laboratories. He said he was denied billing information and they had to jump through the hoops. Judge Perry then pointed out that it was obvious that most experts don't work for free, that's how they earn their living, whether employed by the government or outside entity. He also said it goes to their bias, and could be obtained by deposition or subpoena. Judge Perry denied #1, #2, #3, and #4 without prejudice as some of the information may not become available through the depositions. He granted #5 and #6 concerning notes taken and the photographs or videos during the examinations. Since the experts are not creating reports, the defense will have to turn over to the State the subject matter to which they will testify prior to their depositions. Since the deadline for providing a list of expert witnesses is tomorrow, November 30, the judge originally gave the defense two weeks to provide the information and three weeks to provide the notes and photographs. Jeff Ashton pointed out that they were trying to take the depositions of these witnesses this month and the deadlines would make that impossible. At that point, Jose Baez and Ashton agreed that Baez would provide all the information in writing by this Friday by 4:00 PM. The discovery motion settled for the time being, the judge began the status hearing. 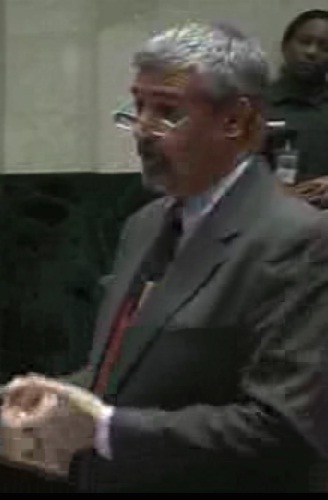 He first brought up the Roy Kronk motion (which has been sitting in my motions pending file since November 19, 2009. The judge asked Jose Baez if he wanted it heard or if he should just deny it since he had no interest in calling that motion up. Baez got to his feet, buttoned his jacket, and informed he would probably withdraw the motion and file it closer to trial. (Hmm... could it be that with the latest deposition of Brandon Sparks, the motion is falling apart some more?) Baez stumbled through a few hesitant words until Judge Perry gave his "Please bear in mind" speeches about those pesky deadlines! The judge clearly stated that if Baez set that motion beyond the deadline, he definitely would not hear it, especially since it was already known to the court. Baez backed off with a few mumbled words about speaking with his team. Baez stated "yes sir" when asked if all the depositions with the State's expert witnesses had been completed. Judge Perry then asked Baez if all examination of evidence was complete since the deadline was October 31. Baez responded that all that was left was the DNA evidence. According to John Ashton, the shorts and laundry bag have yet to be sent out to the lab. The judge expected to have the results of that testing within the next 45 days (give or take a few days), starting today. Judge Perry also made Baez state that there WOULD be a report on the DNA testing. One thing I noticed in the DNA testing was that Jose Baez said he had just handed the stipulation to Ashton! I thought that had been dealt with much earlier at a previous hearing! Ashton was reminded of the February 28 deadline for defense expert witness depositions. Baez said he would be in compliance with tomorrow's deadline for the listing of expert witnesses. Ashton indicated they had scheduled two of the four currently listed experts for depositions in December. Then, Jeff Ashton dropped a bomblet on the court. Mr. Baez had informed him that Mr. Petraco, the hair expert witness would not be on the witness list. Baez response was that he believed so, "unless it changed from today to tomorrow". Go figure that one out! Ashton also indicated that they were having difficulties in getting responses from Dr. Lee concerning the scheduling of his deposition. Jeff Ashton brought up the Frye hearing. From what he understood, the defense is going to challenge the use of the decomposition odor base only (application of data to data base and not the testing procedure.) Aston wanted to know of any scientific witnesses the defense would be using so he could prioritize them. Baez agreed and said he would be willing to discuss how the hearing would be held. Perry reminded him that the deadline for such motions was February 28. Baez also said that as of today, they had concluded the LE depositions, not including the no-shows and two officers involved in a criminal investigation. At this point, Baez is driving me crazy with the "playing with his pen". He plays with it, opens and loudly snaps it shut, very distracting! Judge Perry then gave another "bear in mind" speech about the deadline for non-forensic scientific motions without witnesses were to be filed and heard no later than December 31, 2010 (in reference to Roy Kronk). Finally, we got to the issue of Penalty Phase witnesses. Ann Finnell said that she had a list of 50 known witnesses to turn over to the prosecution. She said she was not prepared on the mitigation expert yet and asked for more time. She said she would hope to be able to list one within the next 60 days. (It looks like Jeanene Barrett is out. I heard somewhere that she is not licenced in Florida and cannot receive compensation from the JAC. I have not been able to confirm it, but it's a possibility.) The judge gave her until January1 to find one, considering her considerable experience in the field. She also brought up her motion to seal penalty phase discovery. Unfortunately, it can't be heard today since the media was not noticed of the hearing. The judge agreed to keep the witness list sealed until a hearing could be held on December 20, at 1:30. At that point, all the attorneys went up to the bench for a side bar. Casey spent her time writing notes to her "prisoner-sitter" and had a good old time. When the attorneys returned to their places, it was announced that the TES records were done. The defense will be required to give the state a list of witnesses from that exercise by December 31, and the State has until March 30, 2011 to complete their depositions. There was one more matter brought up at the end of the hearing with Cheney Mason and the JAC. Apparently, the court stenographer in Tennessee charged more than the agreed price by $1 per page. Judge Perry suggested he sign contracts with transcriptionists prior to hiring them. With that, the hearing was adjourned. I must say, with a limit of 45 minutes, the defense managed to cut down on the verbiage and get their messages across. Perhaps the judge should set time limits in the future? According to what we have heard, the motion for discovery by Jeff Ashton is the only one to be discussed. However, two more motions have been filed. Just in case they come up, here's my take on them. ...enter an order protecting Miss Anthony from having to reveal any information relating to any potential penalty phase proceeding to the State prior to the time that she is actually convicted of First Degree Murder, should that event occur. In a ten page memorandum of law, Ms. Lyon cited quite a bit of legal precedent and Casey Anthony's constitutional rights. In sum, Rule. 3.220 does not require pretrial disclosure of penalty phase discovery. Extending Rule 3.220 to require penalty phase discovery before trial would raise serious constitutional questions, and the Florida Supreme Court has expressly declined to do so. To compel disclosure before trial would severely prejudice Miss Anthony's defense, violate her constitutional rights, and likely violate the witnesses' right to privacy under Article 1, section 23, of the Florida Constitution. With this order denied, the judge did give the defense an "out" concerning the names of the witnesses. 2. If a particular witness will face public harassment, the defense may file a specific motion regarding that witness and the Court will consider a restriction on public disclosure of the name and address. Valhall, over at the Hinky Meter went to a great deal of effort to list all the defense witnesses who are not on the State's witness list. I have to agree with her that these people haven't exactly been featured in the media. 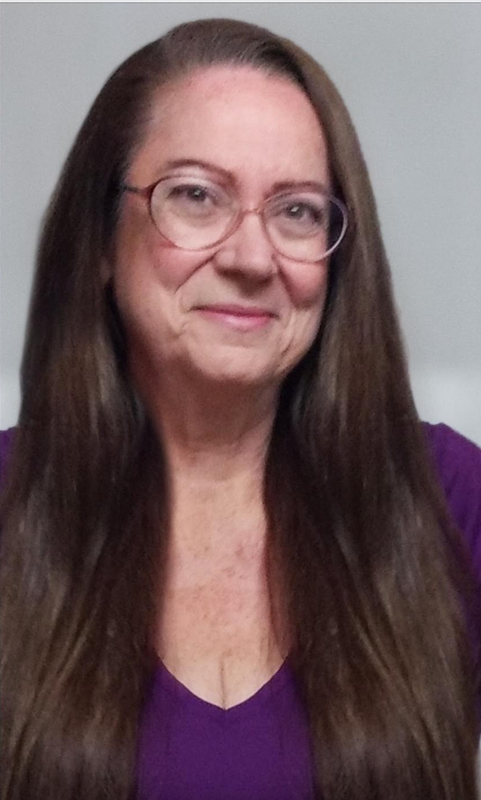 However, I know for sure that two of the defense witnesses, psychic Gale St. John and her daughter, Tamara have been harassed by the defense investigator, Jeremy Lyons. After speaking with Lyons once and essentially saying that she didn't have anything to offer, Lyons has called her constantly. HERE is a broadcast of Gale's that talks about the harassment and even plays the audio of one of his phone messages. She then repeats the video of her "search" on Suburban Drive. If you watch carefully, you will see that Travis Sanders and the dog get sick just about where the remains were found. They then pull up further up the road and briefly walk the dog in the grassy area, a goodly distance away. As for Travis Sanders, he's managed to escape the harassment by making himself totally unavailable somewhere in Northern California! If Ms. Finnell knew more about harassment in this case, she would know that most, if not all the harassment, comes from the defense towards the State's witnesses. Think Roy Kronk, for one. Think all of the TES searchers who have been cold-called. I'm sure of you can come up with some more. While I really don't care if the names are sealed or not, it does bother me that MSM and bloggers and posters on message boards are included in the harassment. We write what we see. While there are "haters" out there, there are many more of us who "call it as we see it". As to Ms. Finnell's assertion that witnesses won't speak for fear of harassment, I really wonder if this is the ONLY reason. The defense cannot force mitigation-type witnesses to testify, it has to be voluntary. In this case, the mitigation witnesses will only be called for two reasons: to say how wonderful Casey is, such a good mother, good student, etc., and to bash Casey's upbringing by testifying about her parents, George and Cindy and the terrible values they taught their daughter. People who would be unwilling to get up on the stand in court and do those things probably wouldn't want to talk to an investigator. They don't want to be involved, they don't want to be out there in public trash-talking family or friends. The defense can't force the issue. Many years ago, early on in my teaching career, I was asked to be a mitigation witness for a student who had been in my homeroom for 10 minutes a day. It was a military murder trial and the officer spent the day at the school talking to all this man's former teachers. He came into my room at the end of the day, introduced himself to me, and asked me what I knew about "Pete". Unfortunately, I had nothing positive to say since my only experience with the then student had been dealing with his awful behavior, curses, and threats. The officer sighed and told me it hadn't been a good day for him. I later learned from others that there was nobody who could credibly speak to any positive qualities they had observed in this future murderer. That was it, we never did hear what happened. It will be interesting to see, should we get to a penalty phase, who volunteered to testify for Casey. Baez: Taphonomist. Taphonomy is the study of human decomposition. Ashton: It’s not a recognized area of forensic science. Baez: Ashton needs to Google it! Bischoff: We need more information about this. Don’t they already have a forensic anthropologist? Baez: I’ve labored hard over many hours to find the best experts for defense. Taphonomy IS a science. Ashton: I need more information. In his Order, the judge denied the taphonomy expert without prejudice. He never seems to have followed Judge Perry's advice, and has now filed a new motion. I'll write more about it when I can get my hands on a copy. See you in court Monday!